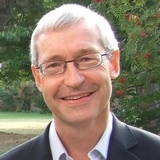 Andrew Burrows, MA, DCL, LLM (Harvard), QC (Hon), FBA, Barrister and Honorary Bencher of Middle Temple is Professor of the Law of England in the University of Oxford and a Fellow of All Souls College. He has been a Law Commissioner for England and Wales, a lecturer at the University of Manchester and Professor at University College, London. He is a Recorder, a Door Tenant of Fountain Court Chambers, London, and is currently President of the Society of Legal Scholars. His other books include Remedies for Torts and Breach of Contract, The Law of Restitution, and Understanding the Law of Obligations. He is a joint author of Anson' s Law of Contract, the general editor of English Private Law and an editor of Chitty on Contracts and Clerk and Lindsell on Torts.